A laurel or wreath on a grave represents victory in death. A triumph over what cannot be won. Wear this necklace to memorialize a loved on who died in combat, serving the country, or fought a battle against illness. 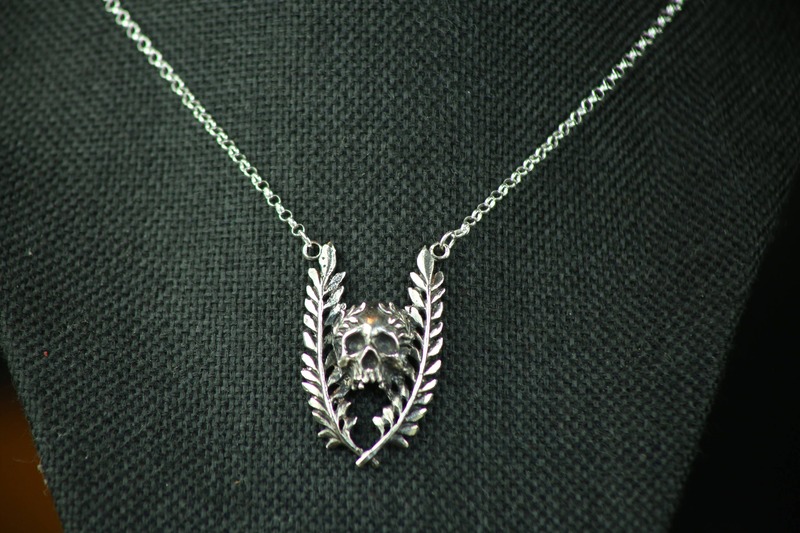 The necklace was designed by me, inspired by gravestone symbolism. Sculpted by Hiroyuki Shambles in Japan, and cast by a local casting company here in Los Angeles, CA. 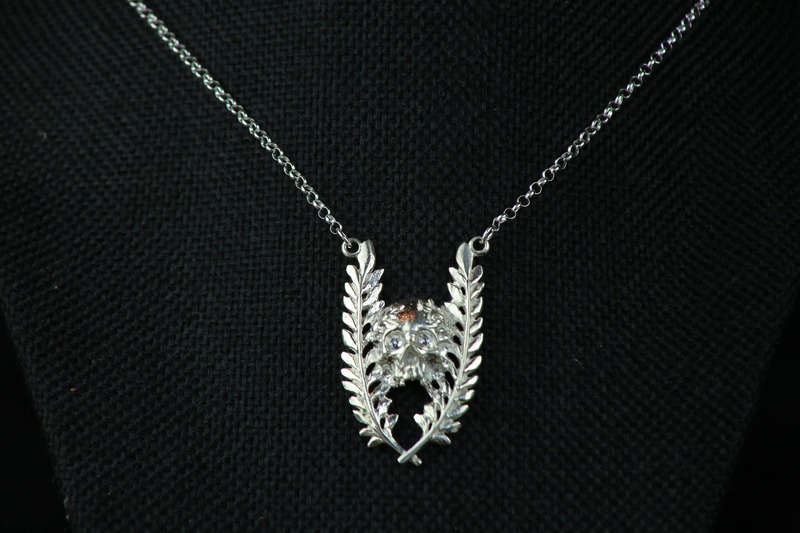 The necklace is offered in 2 finishes, polished sterling silver, or oxidized sterling silver. 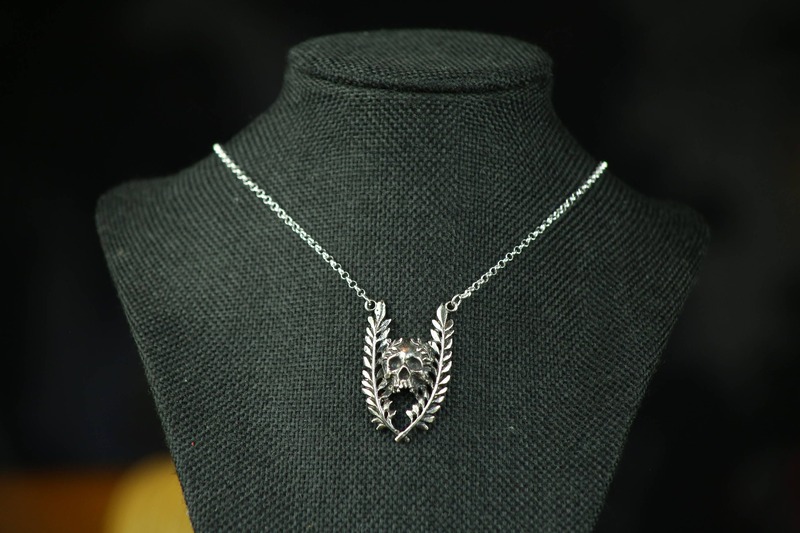 Personally I prefer the Oxidized as it shows all of the details off in the pendant, but the choice is yours! 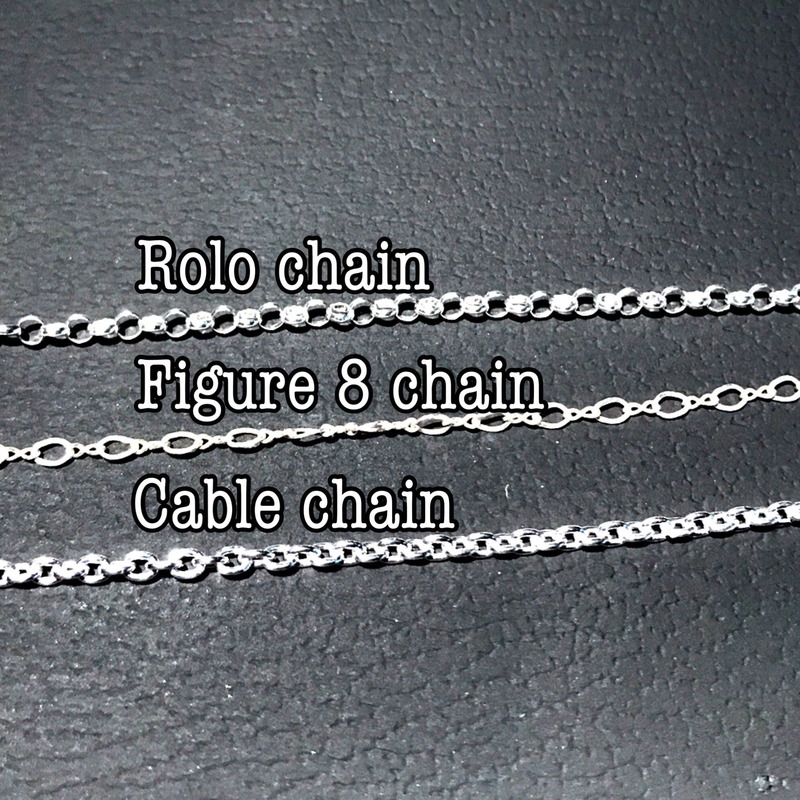 You can choose from 3 chain types, all are 18''. Made from Sterling silver. 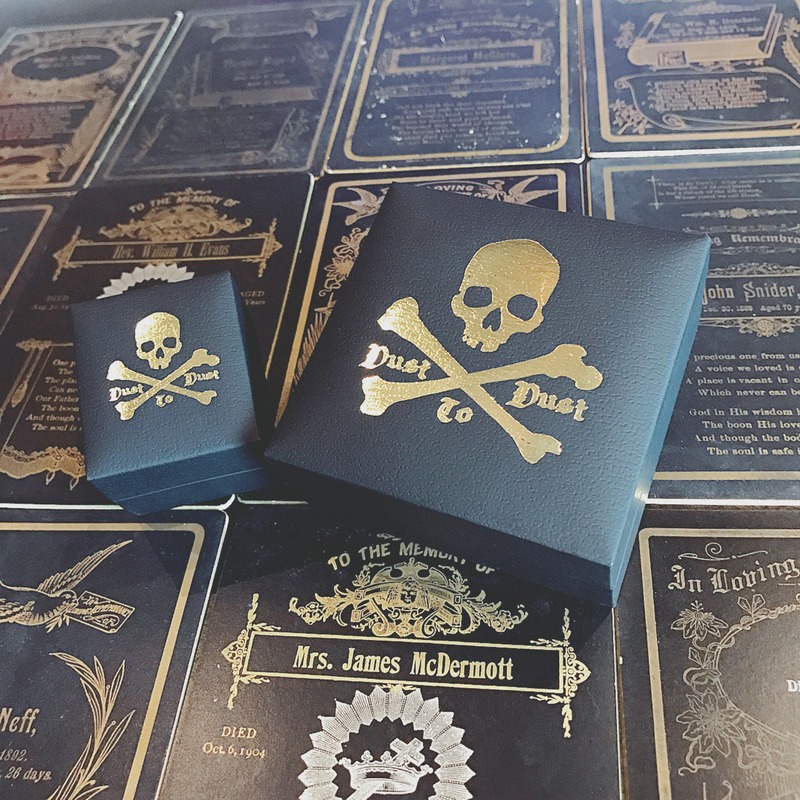 Because the necklaces are made to order just for you It could take 1-4 weeks for your order to arrive, please keep this in mind when ordering. Shipped in a gift box (pictured). Keep in mind this piece is made JUST FOR YOU. After your order is placed no refunds will be accepted so please order carefully. Please make the shipping address an address that is safe and that you trust, I am not responsible if your order get stolen or goes missing after it leaves my studio.